I moved to Georgetown in Washington, DC a few months ago. At this time of year I can't help thinking about ghosts when I walk the streets. Red, orange, and gold leaves crunch underfoot. And they twirl through the air when the wind blows. This morning as I walked to Color Me Read, the bookstore I manage, I smelled smoke. Did someone have a fire going in a fireplace already? Pumpkins are clustered at the stoops of old brownstones and fancy wreaths decorate the doors. But a guest author who visited the store told us that most people died at home in the 1700s and 1800s. Now I can't help wondering how many of those homes have ghosts! Some of them have quirky little windows at the very tops. If I were a kid trick-or-treating around here, I think I'd be seeing ghostly faces peering out! Maybe I'm thinking about ghosts because Dolly was murdered. She was so kind. I can't imagine her being a mean ghost. One of her husbands was murdered right here in Georgetown. I wonder if he's haunting the streets looking for his killer. You can read more about it in The Coloring Crook, which will be in stores on November 29th! Or you could be the lucky person who wins an early copy by leaving a comment here today! 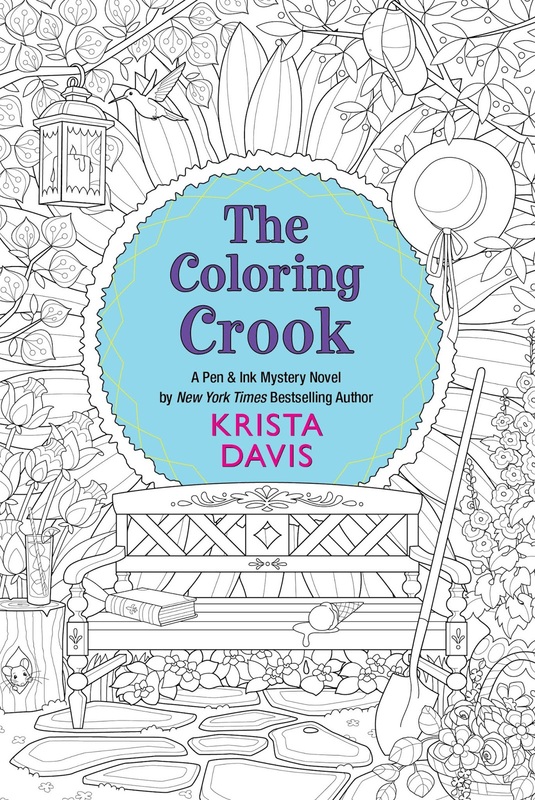 THE COLORING CROOK is coming on November 29th and Krista still has an ARC to give away. Leave a comment with your email address to enter to win! I love this series and would be thrilled to win this! Thank you for the chance! So happy there's another story in this series! I would like to be entered to win. ma(underscore)ward(at)Hotmail(dot)com. Thanks! Looking forward to another good story and book cover to color! Can't wait for the opportunity to read "The Coloring Crook". It's been on my TBR list since it was first announced. LOVED "Color Me Murder" and I know this one will be just as fascinating. Thank you for the chance to win a copy! I haven't read this series yet, but I really enjoyed the synopsis of the book. 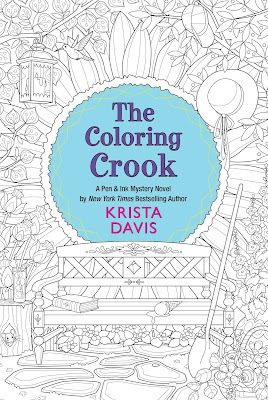 Looking forward to reading "The Coloring Crook". I would love to win an early copy - thanks! And the cover always makes me want to start coloring. The mind is a powerful took we all have and who's saying we don't have the capacity to see ghosts? I would love to start reading this series and winning this book would be a delight! Great series. Enjoyed coloring the cover. Very clever idea.